The final installment of the Otherselves series and it mostly takes place in the True World where we meet Belinda. Belinda is from a First Family, basically royalty in the True World. She is to be bonded with a boy chosen by her family. But the bonding process goes terribly wrong and it’s reveal that Belinda is already bonded, something that could only have happened during the time she was kidnapped as a child by Malachi. She sets out to get revenge and brings along her childhood friend Damian. This third novel in the series is probably the best one if you ask me. I love how a lot of things a put in to place like a puzzle here and things are explained and explored in both the True World but also the four mirror worlds. Belinda’s otherselves are always there in the background and even if their original quests differ they all come to work together to achieve the same goal in the end. It’s easy to see why the third novel is the best one and in my opinion it’s mostly because it focuses on the same world almost the entire time. This provides enough time to explore the world and dig deeper into the characters. The previous novels have been torn between two worlds and hence also two different plots, making them lack depth. Here we get the best of everything and the writer’s talent really shines in this novel. If I could have made one wish, it would have been to make this series into five separate books, one for each world. But now we have a trilogy and it is good enough. The worlds I’ve been introduced to in this series are very different and interesting and I would love to explore them even more in future novels. 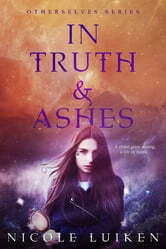 This series is a great read for anyone interested in YA Fantasy.